All of us as human beings experience emotional difficulties from time to time. Certainly, some people do more than others. Thankfully, it isn’t a contest. Life as we know it can be very cruel, emotionally brutal, heartbreaking, gut-wrenching, exhausting, lonely, seemingly so terribly unforgiving and frightening. Life can leave us feeling hopeless, powerless, alone, trapped, overwhelmed, burned out and unable to cope with the difficulties, tasks and our daily routines. If you are in the eye of the storm, you don’t have to continue alone. 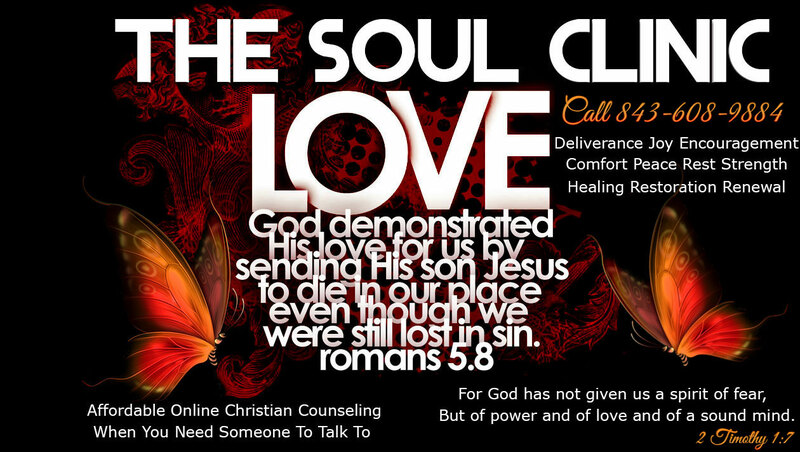 The pastoral counseling ministry team at Soul Clinic has pastoral counselors available to speak with those who are dealing with personal or family life challenges. Our online Christian counselors are dedicated to providing a compassionate listening ear coupled with sound Biblical advice. The struggle is real as is the battle for your mind and while the war seems never-ending, you’ve got to understand that victory can be yours and you are not truly alone. Feelings are not always facts and deliverance is an open door that has been waiting for you. Your moment of truth has arrived. I ask You, Lord, that Your perfect will be done in my life and grant me a revulsion for those attitudes, behaviors, actions, ideas, desires, and beliefs that are a revulsion to You. Fill my heart with great gladness and protect my children and me from anything and anyone that would rise up against us. Prosper me and my household, Father God and deliver me from godless people, out to use us and take advantage of us. Deliver my family and me from evil-doers and prosper and protect us each and every day. Grand us immeasurable courage, strength, wisdom, understanding, brilliant ideas, and restore our virtue. Make a way where there is no way and I ask that you grant us great favor, open doors of opportunity and extend to us your mercy, compassion, and goodness all the days of our lives. Show me Your marvelous wonders, your tender mercies, and Your ever-lasting kindness and compassion. Restore to me what the locust has eaten; the moth and the cankerworm have destroyed and all that has been lost throughout my life. Meet my each and every need, Father God and bring to pass the desires of my heart; those desires that You have placed in my heart. I ask that You grant me a happy childhood I never had and grant me a great, marvelous, wonderful and beautiful future, starting right now. Grant me immeasurable hope. I thank You, Jesus, for all that You’ve done, are doing and will continue to do in my life. Thank You, Father God. I praise You, Father God and give You all the glory.